Recent single cell studies show extensive molecular variability underlying cellular responses. We evaluated the impact of molecular variability in the expression of cell signaling components and ion channels on electrophysiological excitability and neuromodulation. 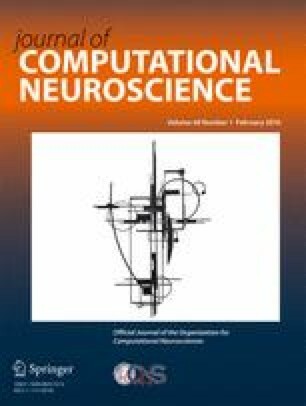 We employed a computational approach that integrated neuropeptide receptor-mediated signaling with electrophysiology. We simulated a population of neurons in which expression levels of a neuropeptide receptor and multiple ion channels were simultaneously varied within a physiological range. We analyzed the effects of variation on the electrophysiological response to a neuropeptide stimulus. Our results revealed distinct response patterns associated with low versus high receptor levels. Neurons with low receptor levels showed increased excitability and neurons with high receptor levels showed reduced excitability. These response patterns were separated by a narrow receptor level range forming a separatrix. The position of this separatrix was dependent on the expression levels of multiple ion channels. To assess the relative contributions of receptor and ion channel levels to the response profiles, we categorized the responses into six phenotypes based on response kinetics and magnitude. We applied several multivariate statistical approaches and found that receptor and channel expression levels influence the neuromodulation response phenotype through a complex though systematic mapping. Our analyses extended our understanding of how cellular responses to neuromodulation vary as a function of molecular expression. Our study showed that receptor expression and biophysical state interact with distinct relative contributions to neuronal excitability. Warren D. Anderson and Hirenkumar K. Makadia contributed equally to this work. The online version of this article (doi: 10.1007/s10827-015-0584-2) contains supplementary material, which is available to authorized users. An erratum to this article can be found at http://dx.doi.org/10.1007/s10827-015-0589-x. This study was supported by National Heart, Lung, and Blood Institute grant No. R01 HL111621 to RV. R Development Core Team (2008). R: A Language and Environment for Statistical Computing. R Foundation for Statistical Computing, Vienna, Austria. http://www.R-project.org. ISBN 3-900051- 07-0.